The Club’s Annual Dinner was help in the Bedeck Suite on Friday evening past. Jonny Tuffey winning the Player of the season award and Joel Cooper the Young player of the season. The Southern Area Hospice were donated a cheque for £1500. 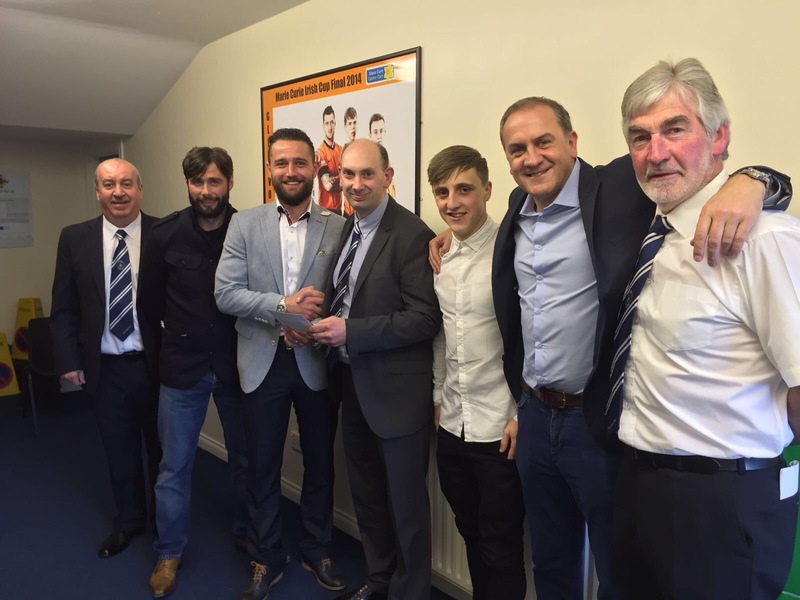 The Glenavon Players Fund were presented a cheque for £1,000 for reaching the Irish Cup Final for the 2nd time in 3 years. 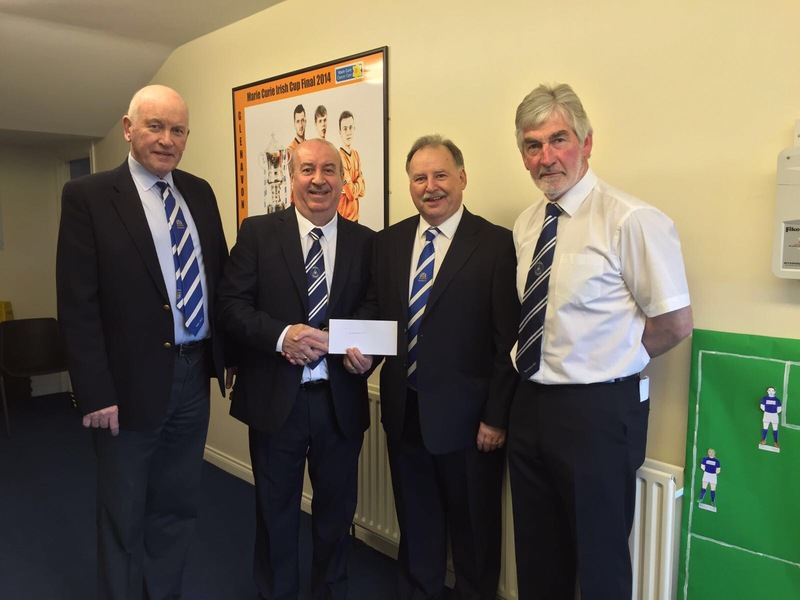 Finally The Triangle Supporters club donated a cheque £12,500 to Glenavon,bringing the total donation for the season to just over £15,000. Triangle chairman Jimmy Lindsay presenting Jonny Tuffey with the player of the year. 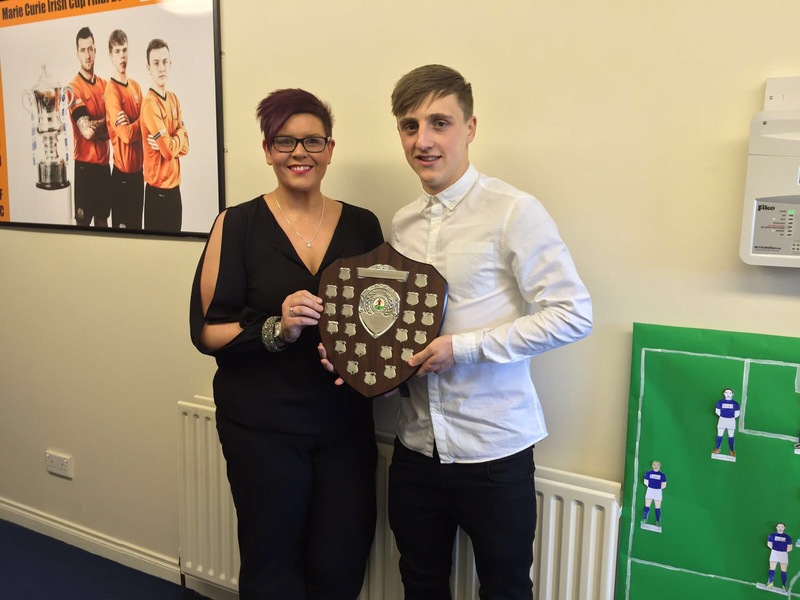 Triangle secretary Clare Hall presenting Joel Cooper with the young player of the year. Ian Hall presenting Lisa Hamill from the Southern Area Hospice with a cheque for £1,500. 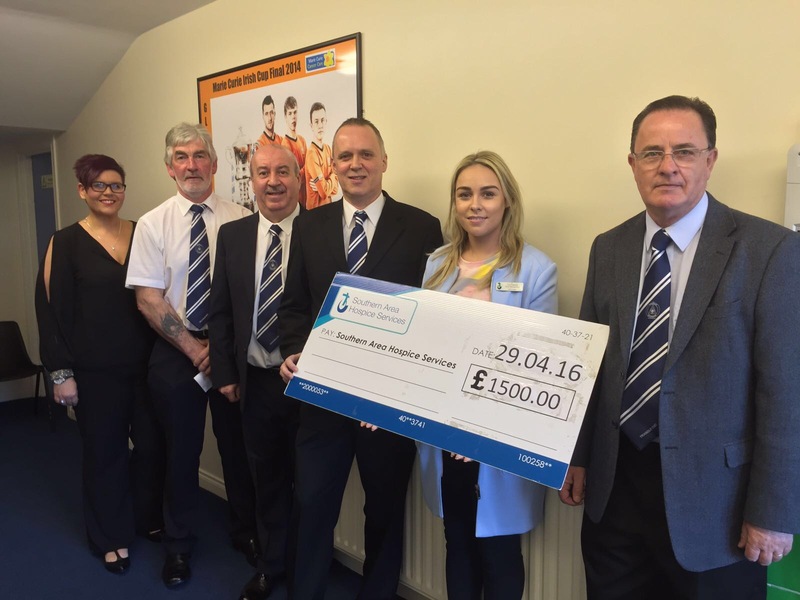 Gareth Roulton presenting the Glenavon Players Fund a cheque for £1,000 for reaching the Irish Cup Final. 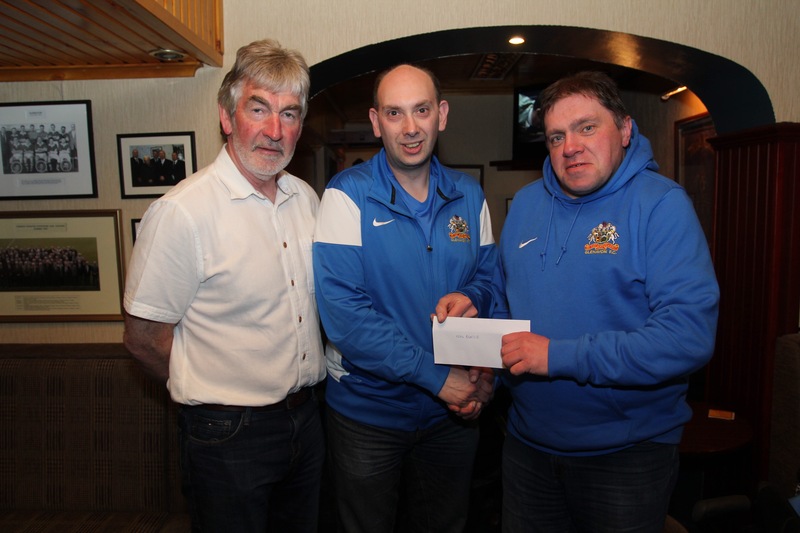 Gareth Roulton, organiser of the Triangle Glenavon Supporters Club’s “Last Man Standing” presents joint winner Cecil Beattie with his winners cheque. The other winner was Jonathon Bunting. Looking on is Triangle Chairman Jimmy Lindsay. 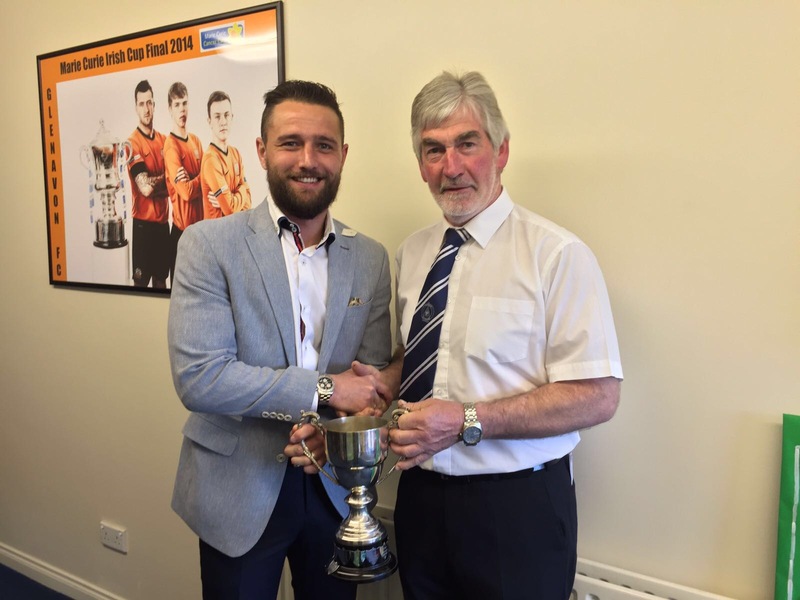 You are currently browsing the Glenavon Triangle Supporters' Club blog archives for May, 2016.